Real estate markets, no matter the location, is known for volatile ups and downs. Many things can impact a country’s real estate market – from global and local politics to economic shifts to extreme natural disasters. Real estate investors around the world watch for these shifts to take advantage of prime investment locations and excellent markets to buy an asset overseas. The Israeli real estate market, for example, has been experiencing rising property, house, and apartment prices for quite some time. Since Israel’s government started taking clear and decisive steps towards stabilizing their real estate market in 2008, investors have seen consistently increasing profits. Buyers have seen both an increase in the availability of housing as well as real estate price points. So how did Israel manage to turn their real estate market around? And will this high-priced, successful market continue to thrive? Over the course of the last 10 years, Israel’s real estate prices have continued to climb. In fact, in 2016 they grew 8% from the previous year – and that kind of growth has been typical. So, what has caused this consistent growth of the Israeli real estate market? It started back in the early 2000s when the number of foreign investors in Israeli real estate began to increase. This happened for a variety of reasons. Many European currencies were strong against the Israeli Shekel, making the investments financially appealing to foreigners. As more foreign investors got involved in purchasing Israeli real estate, the prices of that real estate continued to rise. 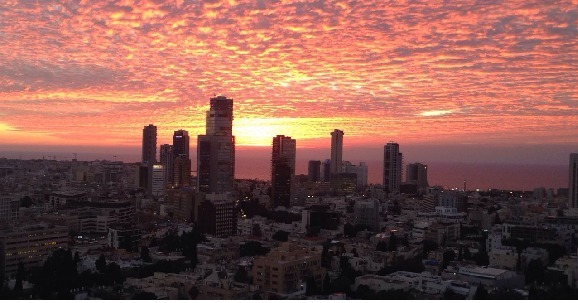 This made investing in Israel’s real estate market even more appealing to foreign investors. Of course, in 2008, the world experienced an economic crash that impacted countries everywhere, albeit in different ways. Israel seemed to be completely exempt to this market fall, and their market continued to thrive. Even though the 2008 market crash meant that there were fewer US investors involved in the Israeli real estate market, this didn’t deter other foreign investors from swooping in and purchasing copious amounts of real estate. This caused real estate prices to continue to rise. The Israeli government has tried to halt these foreign investors from continuing to come in, purchase real estate, and encourage the increased real estate prices that are negatively impacting Israeli citizens. However, their efforts have been largely unsuccessful. One such effort was the launch of the Mechir Lamishtaken program. In theory, the program was supposed to bolster the potential for someone to purchase their first apartment in Israel. The program was intended to give priority to first-time home buyers and promote preferred buying options to the public. Essentially, Israelis who meet the eligibility requirements are permitted to buy an apartment in a central region for a lower-than-market price from a contractor. An additional effort that the Israeli government has taken is the third apartment tax. This tax, which was voted in after an all-night review session in December 2016, forces landlords to pay an extra 1% tax per month on the value of the home or apartment that they own beginning with their third property. Of course, this negatively impacted foreign real estate investors who are consistently coming in, investing, sending money to Israel, and continuing to push for real estate price increases. Similar taxes have also been implemented to slow the investment in the real estate market and level the real estate price increase that the Israeli public is struggling with. While these measures that have been taken certainly assisted in making the purchase of real estate easier for local buyers, prices have continued to increase. We are, without a doubt, seeing changes here in the first half of 2018. For one, the Israeli economy is continuing to expand. They have the lowest unemployment rate since 1983, and their wages have risen an average of 5%. However, despite this economic growth, the total number of new homes sold as of January 2017 has decreased by 5%. This could be for a variety of reasons – the most prominent being that Israel has seen many social protests in recent years denouncing the increase in housing prices. Though home prices are still high and rising, it seems that the price increases are slowing in recent months. There are currently more buyers in Israel than there are investors. This is without a doubt one of the largest contributing factors to the tempering of house pricing increases. Additionally, stock in the Israeli real estate market is slowly decreasing. These signs point to the potential for the tides to change and the housing market to become more affordable for buyers but a less appealing location for investors. It’s also important to note that the buyer market is changing. There are fewer housing structures available than there have been in the past, but the demand is still high. This is one point that will make reducing the housing prices and overall cost of living difficult – with limited supply comes higher prices. However, if we look at the current group of buyers who are snatching up properties in Israel, we’ll see that they aren’t necessarily low-income or individuals who would otherwise need assistance. In fact, many buyers are young and receiving financial assistance from parents or older members of their family. Israel’s government has been playing a large part in driving down the price of real estate. Following the concept of supply and demand, they’ve flooded the market with new developments. In theory, this should help to correct the problem of high-priced housing as a barrage of newly built, priced developments enter the housing market. This will also help to provide more affordable housing to citizens who are currently struggling to keep up with the cost of living or who are looking for a better way to budget themselves and maintain an affordable lifestyle without falling behind on payments. Update: it seems like the market is coming to a halt give or take. Prices are not dropping per se, but it seems that below the curtains, there are more discounts given than ever before. The asking prices you see on online websites don’t necessarily represent the true value of apartments in the Tel Aviv area anymore. With that being said, there are a few high-profile projects which are being sold out in spite of this relative halt. Is Israel’s Real Estate Bubble Going to Burst? Because of the way Israel’s real estate market has been continually rising in price and value for investors over the past decade, many people have raised the concern that the real estate “bubble” we’re currently seeing will burst – and soon. The OECD has determined that many areas in Israel are at risk of becoming real estate bubbles. Moreover, since the middle of 2014 until the end of 2016, the Israeli shekel has weakened against the US Dollar, which increases the chances for a burst. In 2017 the Israeli Shekel gained power again. Based on our Israeli Shekel forecast, the Israeli Shekel supposed to lose its power and chances for a burst will be lower. However, this is just speculation. In some ways, the efforts that Israel’s government is putting forward as far as building new developments and increasing the real estate supply are incredibly positive. Peter Jarrett, of the OECD says, “ If you must choose, we’d give more weight to the supply side. It’s clear, however, that at some point in the development of a potential bubble, if the supply is incapable of meeting the basic demand, you find yourself with surplus demand from people who regard it as a possible channel for capital gains. You can call this demand from investors or speculative demand so that in time, it’s less clear. The fundamental source for the development of a bubble, however, is on the supply side.” This confirms that, while the real estate market in Israel is certainly not a positive environment right now, the right steps are being taken to expand the availability of housing which should, hypothetically, continue to drive down real estate costs. So, how do we know if Israel crosses the line into a real estate bubble? Jarrett says, “If too many housing buyers assume that mortgage costs will remain at the current level during the entire life of the mortgage, and then the mortgage interest rate rises, they will be unable to pay the mortgage, and if too many people are too close to the (profit/loss) line, then it’s obvious that the market will eventually suffer a substantial correction, and then we’ll know that there was a bubble.” If this should happen, investors might take a hit. However, if investors continue to invest intelligently and focus their efforts on places where housing is in high demand despite high rent costs, things could still go smoothly for them. Should Investors Still Consider the Israel Real Estate Market? Although Israel’s real estate market future is a little bit hazy, they’re still a good place to invest if you choose the right locations and the right kinds of investments. In times like these, where Israel is seeking to flood the market with affordable housing, investors can still get involved and turn a profit. Housing prices are still high, after all. In fact, they’re higher than a lot of other places around the world. So, where should a real estate investor consider purchasing property or housing? And what kind of housing should they look at? First, let’s look at the best places for real estate investors to purchase a property. Currently, the most profitable areas for investment are Rehovot, Hadera, Petah Tikva, Haifa, and Tel Aviv. These areas are primarily large cities or highly populated areas. Real estate within Israel’s large cities has appreciated wildly in the past several years, and demand isn’t going anywhere. In fact, the demand for affordable housing is so high in these areas, that even if a landlord were to invest in and rent out many apartment properties, they would still make a successful amount of income despite hefty taxes levied against real estate investors after their third apartment purchase. If we focus on a few of the areas mentioned above, we’ll see consistent findings that support the idea that they’re excellent locations for real estate investors to consider. Tel Aviv, for example, is currently the most expensive area of Israel to rent property. The population is ballooning and the demand is so high that even just renting out a few living spaces would likely be a worthwhile investment. The same is true for Haifa, which had an average rent hike of 2.02% y-o-y in 2016. The reason investors should continue to consider investing in real estate rather than the stock market in Israel is that, despite the heavy taxes being implemented by the government against real estate investors, real estate prices are still on the rise. There will always be a risk with investing, but real estate tends to be more stable. Additionally, if investors focus their investment decisions on highly populated areas, they’ll find they get a better return on investment as the housing value there continues to appreciate as demand stays high. While the government is attempting to expand some city areas to include a wider variety of more affordable suburb housing fixtures, investors won’t find as much success there. That’s because, with lower demand, people looking to rent or buy in the suburbs are less likely to pay much in rent, and an investor won’t make as much return. Israel will be a country that real estate investors will want to keep an eye on. With new tax laws taking effect, and the consistent demand for more housing (and the corresponding demand for more affordable housing), things could change drastically in the near future. However, for now, Israel remains a good spot to invest. Investors need to focus on the long-game as they look to invest in real estate. Focusing on high-population city centres where the demand for housing won’t dissipate anytime soon is key. At the same time, there are some tangible threats to the economy – view this analysis of Israel’s economy.